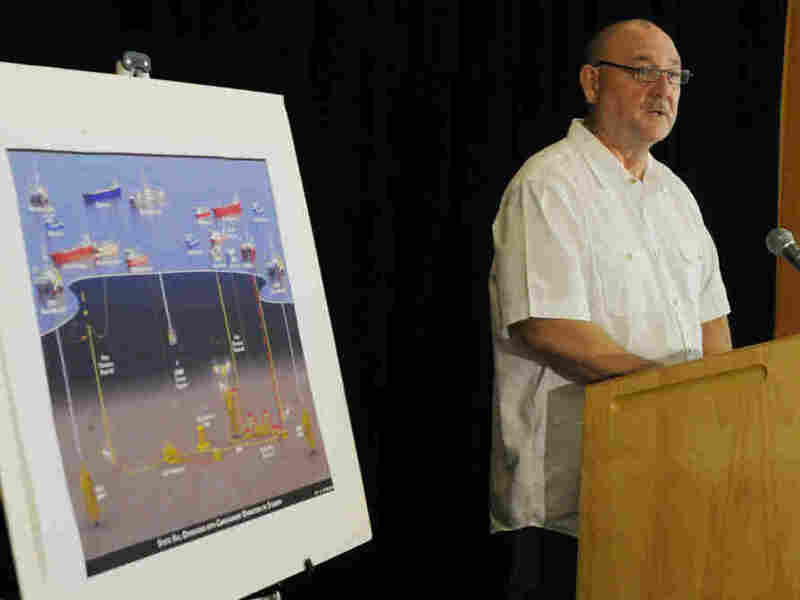 BP started pumping heavy drilling mud into its notorious broken well in the Gulf of Mexico in the hopes of finally plugging it, the company reported. The energy giant spent time earlier Tuesday testing its procedures to make sure that pumping the drilling mud wouldn't damage the well, causing the cap placed on it several weeks ago to stop containing the well's oil and gas which had spewed into the gulf's waters since the Deepwater Horizon accident in April. If the drilling mud forms a successful seal, BP still plans to complete a relief well in a matter sometime in August that would it to use pump what is essentially a form of cement into the well to seal it permanently. Experts estimate that between four million and five million barrels of oil flowed into the gulf before the hydrocarbons were contained. Federal law could require BP to pay a fine of $4,300 a barrel for the disaster, which would amount to more than $18 billion from BP's coffers for the fine alone.